Today, I would like to share this simple and easy recipe with all of you. I especially dedicate it to my friend Maggie in Canada who have been follow and try out my recipes. This dish is very easy to prepare and cook. 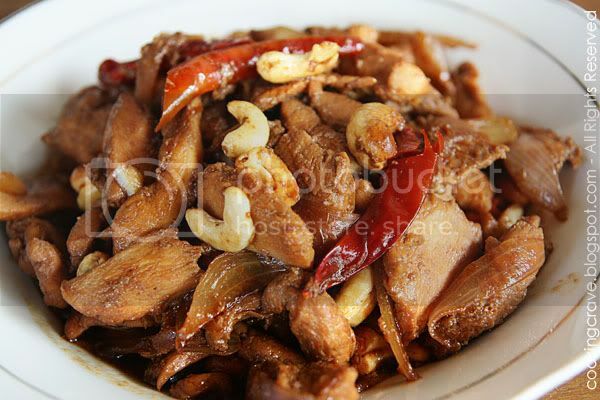 It goes well with warm white rice and simple stir-fried vegetables. Marinate the sliced chicken with the ingredients. Stir to mix well and cover it with cling wrap and place it in the fringe for an hour. Heat the wok with some oil. 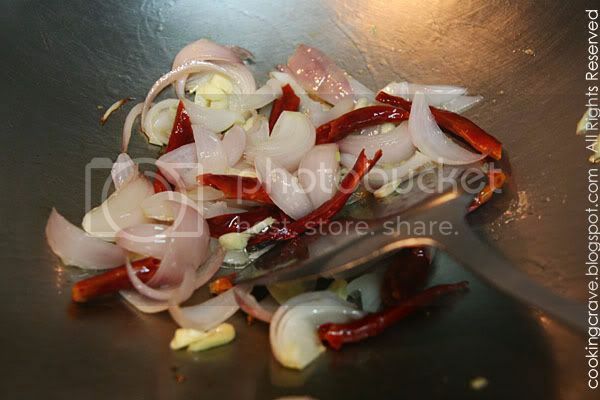 Stir-fried garlic, onions and dried chillies for a minute. Add in the marinated chicken and stir-fried for a while. Add in a little (about 3 tbsp) water and cover the wok, let it simmer till the dish dries up and chicken is cook. Stir occasionally. 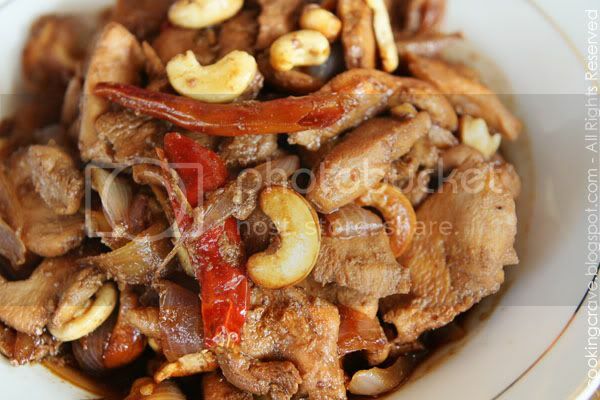 Stir in the roasted cashew nuts when the chicken is cooked. Lastly, add salt to taste (this is depend to the saltiness of the soy sauce we used) If the dish already salty enough, just omit the salt. hello there. im new to your blog. 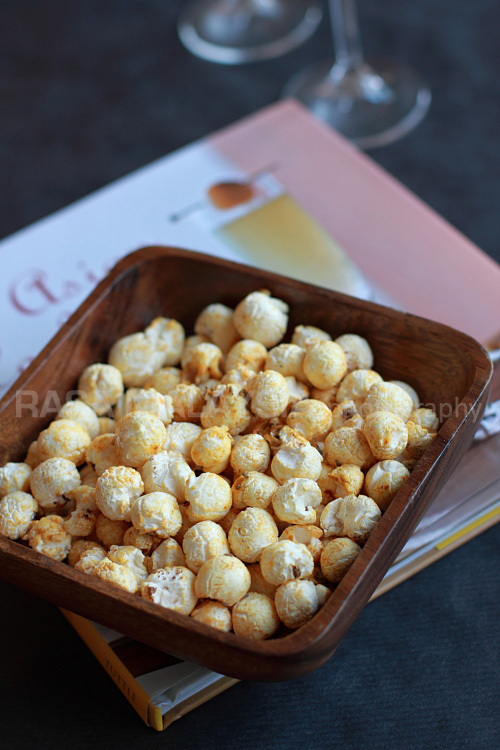 i dont have a food blog at the moment but i just love browsing thru them. just waiting for my new home/kitchen to be ready in abt 3 mths. cant wait to try some of your recipes out. Add some spring onion, even better..Anyway, your dish look yummy yummy..
Bring on the spice, baby! I love that you left the chillies in there! hi.. this looks simple and nice. miss your posts and i've been busy too.. seems like same same both of us huh.. not sure if i got time to blog as much soon.. i'm going back to work.